When long-hidden secrets come to light, will their fragile bond be strong enough to hold them together? A scarred man meets a scared woman on a lonely road one rainy night. Her secrets are too terrible to tell. His past is too haunting to share. But he must help, she must trust, and so begins their story. One minute, she was outside watching the skies and the next, she found herself plucked onto the back of a horse and out of the tornado's path to safety. Then she met her rescuer and realized she was anything but safe. Revised, expanded, updated edition of an award-winning favorite. Sage Parker is starting over after losing everything he had and and everyone he loved. The last thing he needs is a do-gooder to complicate his progress. Especially when she's his boss. Del Fox has a job to do in Short Straw, SD, and getting involved with Lila Flynn isn't part of the plan. Or is it? Two love stories, separated by years, intertwined by blood and history. A mysterious letter to his murdered brother leads Zane Lone Bull to a woman who has more questions than answers. What happens when their two quests become one? When the heart comes out of hiding to take a risk, to dare to share in something warm and generous and totally unexpected, miracles happen. Join Ben and Clara Pipestone in a redemptive journey as they share a community's quest to commenorate the past and rebuild for the future. Newly published in digital and trade paperback formats, this highly acclaimed RITA finalist is a celebration of the healing power of love. He's the hometown hero who harbors a secret. She's the woman he loved, lost, never thought he'd see again. And her secret trumps his. Winner of Romance Writers of America's RITA Award, available for the first time in e-book, trade paperback and audio formats. Condemned for a crime he didn't commit, Cleve Black Horse gets a surprise visit and a pea for help from the woman who convicted him. The sequel to THE LAST GOOD MAN, Kole Kills Crow's story now in new trade paperback, e-book and audio formats. finalist for the Minnesota Book Award now available in e-book, trade paperback and audio formats. 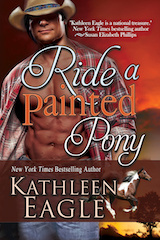 Harlequin Special Edition, new release, February 19, 2013. He's staying out of trouble, keeping to himself...until she comes along. USA Today and Borders Group Bestseller! 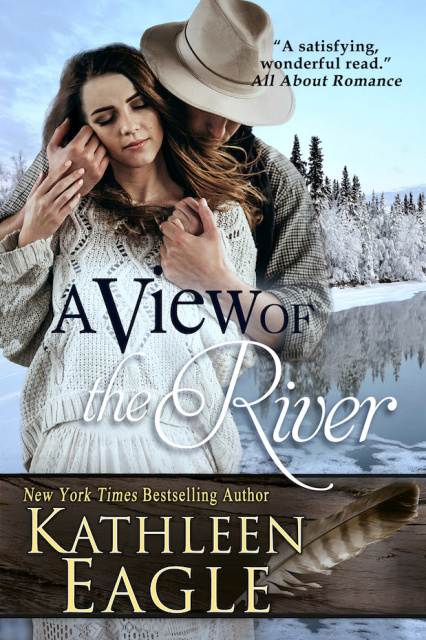 The second book in Kathleen's Special Edition series features rodeo cowboy Zach Beaudry and introduces the Double D Wild Horse Sancturary. Visit South Dakota for the holidays. Dress warm! What are you working on now, Kathleen? 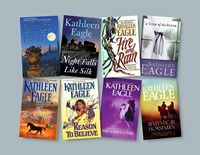 Get The Complete Eagle, an annotated list of all of Kathleen's books, with a printer-friendly version and a pdf file for your convenience. You'll also find a soupcon of excerpts from some of Kathleen's award-winning books and discussion guides for some of the books.